In addition to working in schools, Schools of Equality partners with colleges and other NGOs to organize public workshops. Our aim is to reach a wider audience, including parents and teachers who play a vital role in influencing the attitudes of their children. 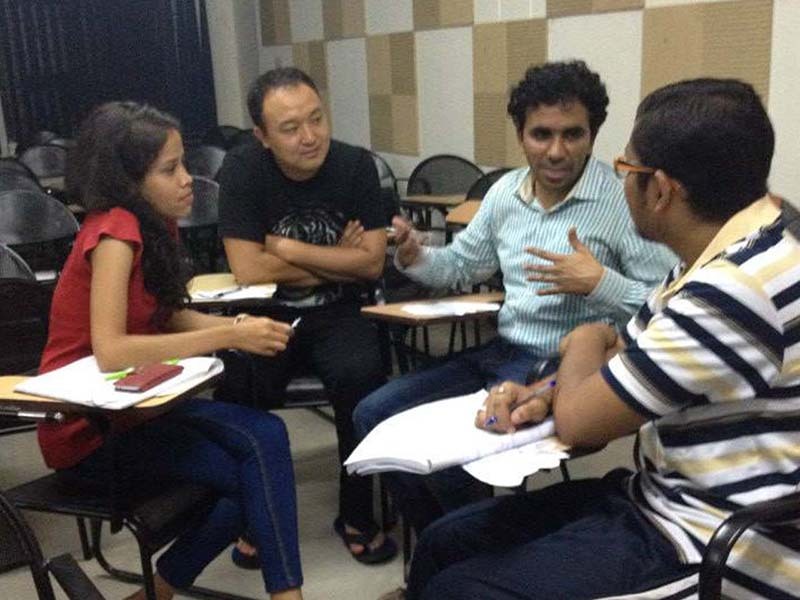 Gulika Reddy conducted a workshop on identity and discrimination at the Asian College of Journalism. At this session students used art and theatre to understand their own identity, position and privilege; to discuss the link between identity and discrimination; and to explore the role of civil society in addressing the issue of identity-based discrimination. 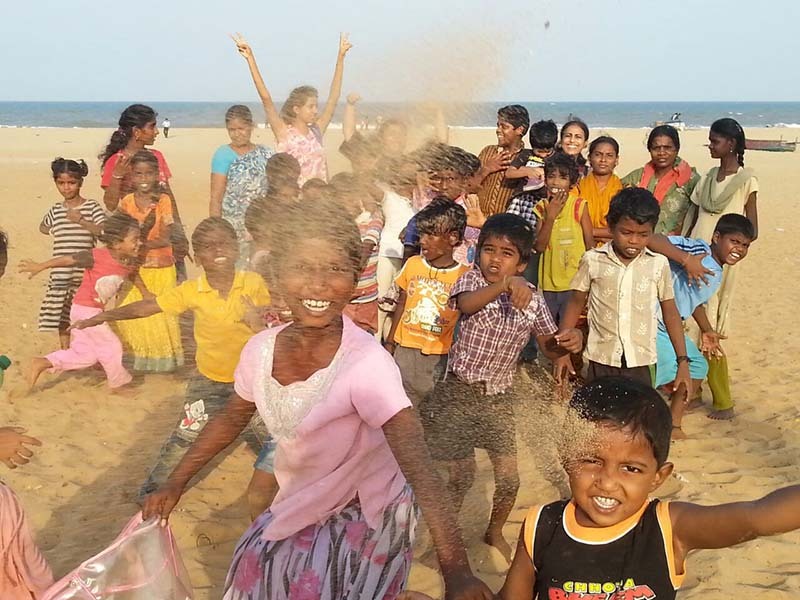 Gulika Reddy and Gayatri Sekar facilitated a three day summer workshop for the children of Urur Olcott Kuppam on invitation from Pudiyador, a charitable trust working with underprivileged children. At the summer camp, students explored the concepts of equality and discrimination through sport, art and dance. 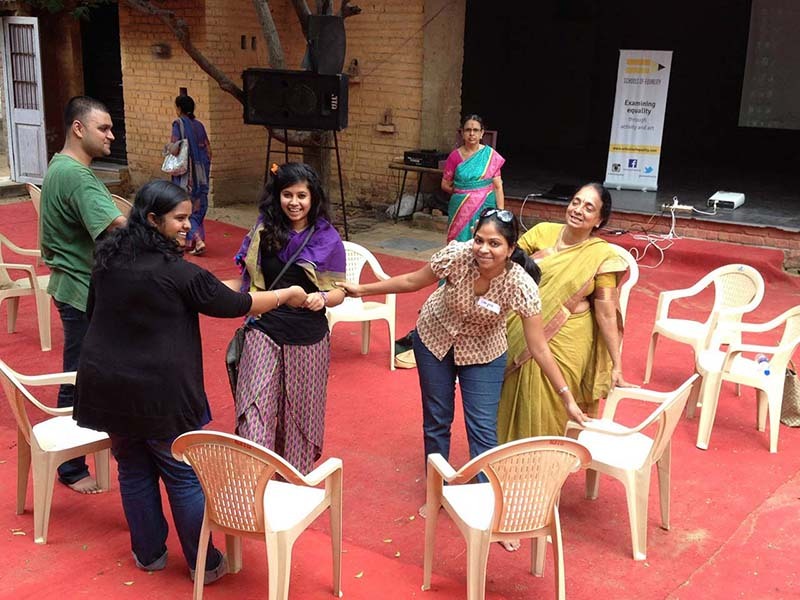 Gulika Reddy conducted an art and theatre-based workshop organized by Supportive Cities for a mixed age group audience. The purpose of the workshop was to understand the diverse nature of identity; identity as a social construct and how differences can become the basis of discrimination. 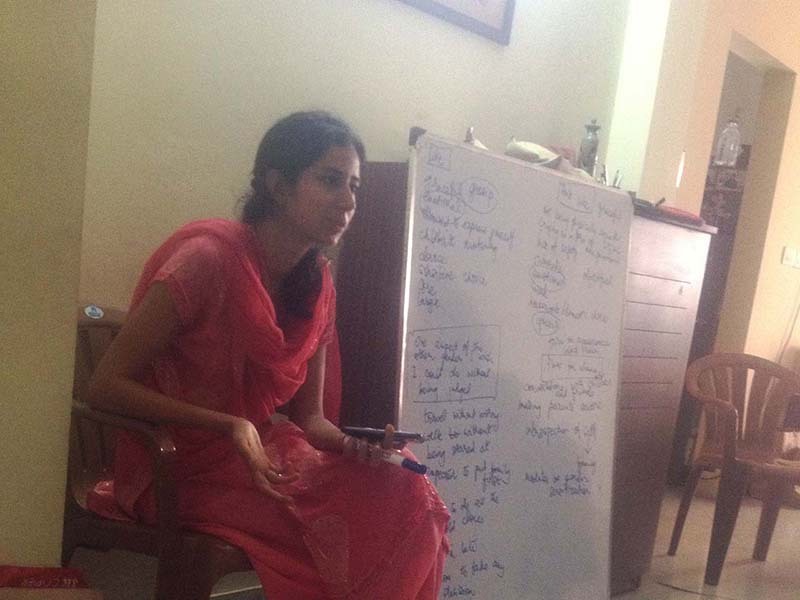 Gayatri Sekar and Shruti Gupta conducted a workshop on how to prevent and respond to street harassment. 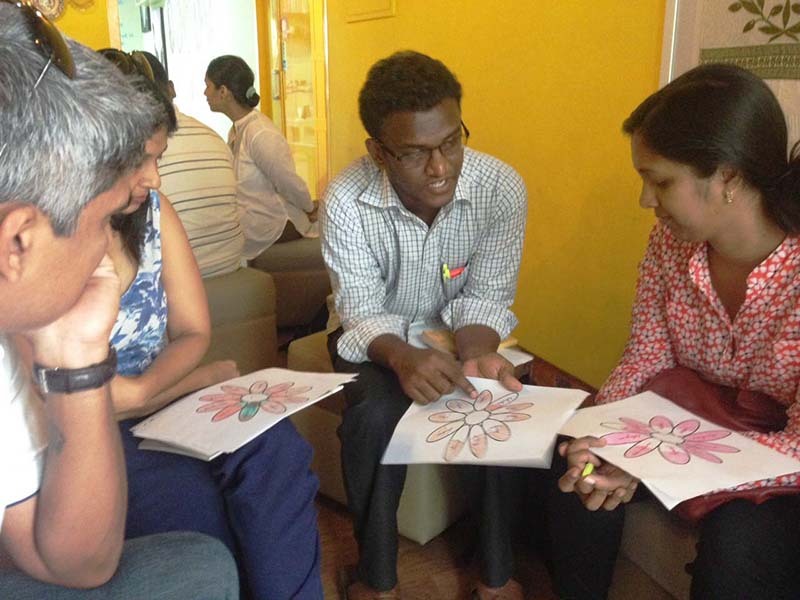 Gulika Reddy conducted a workshop on ‘Fostering Respect’, for parents and educators. The workshop used art and theatre activities to explore various facets of social identity, to enable participants to examine aspects of their identity that places them in a position of privilege or discrimination, and to surrender their position of power especially in their interactions with their children and students. 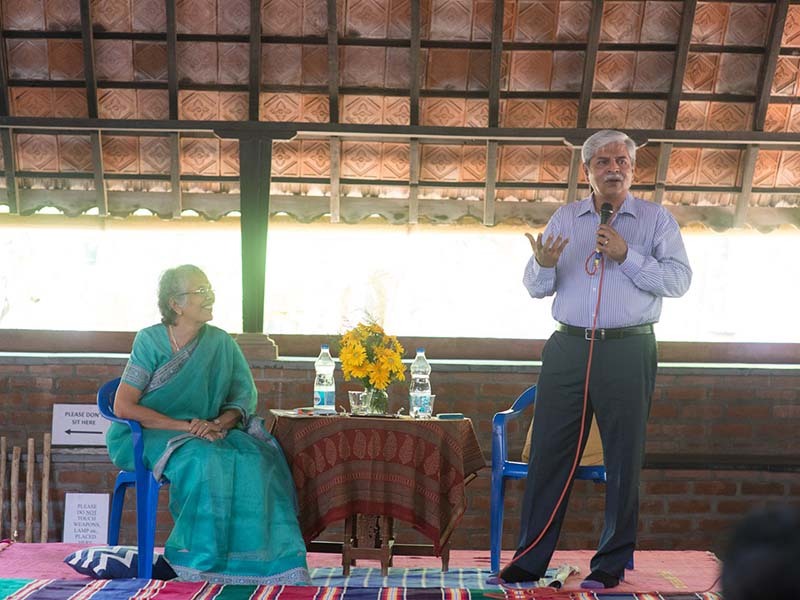 A panel discussion titled ‘Introspecting Respect’ was organised for parents and educators with panelists Mrs Uma Shankar, Director General of Indian Montessori Centre and Dr Vijay Nagaswami, psychiatrist, therapist and author, who discussed the need to foster mutual respect between adults and children. 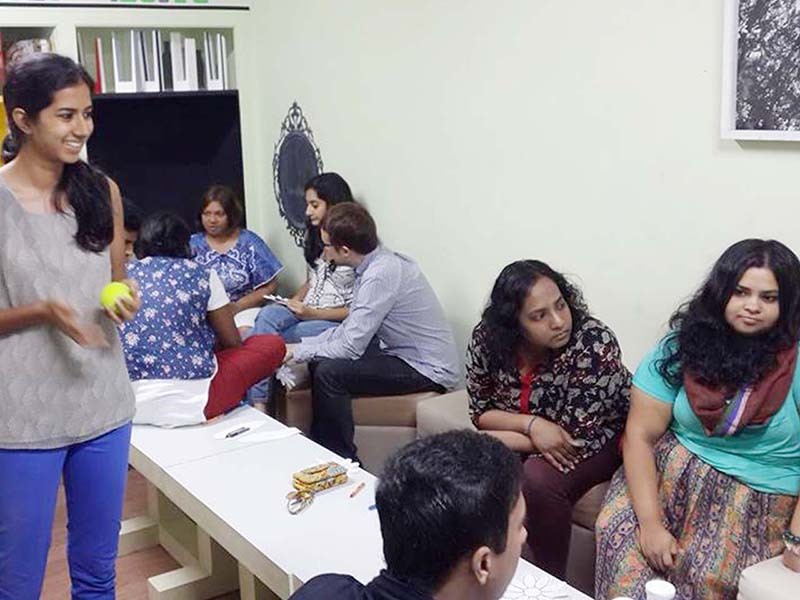 Gulika Reddy conducted a workshop on ‘Gender Roles and Stereotypes’ for Parenting Matters, an organization that runs workshops and discussion groups on parenting. At the workshop participants discussed masculine and feminine traits, explored the role of societal institutions, popular culture and media in defining gender roles and stereotypes, and discussed how parents should be aware of the prejudicial attitudes they could be unconsciously passing on to their children. Saranya Manoharan conducted a gender sensitisation workshop for students of Association for Non-traditional Employment of Women (ANEW), organized by Soroptimist Chennai, to mark international day for ‘Elimination of Violence against Women’. Participants learnt about how to deal with street sexual harassment and domestic violence through activities and interactive sessions.